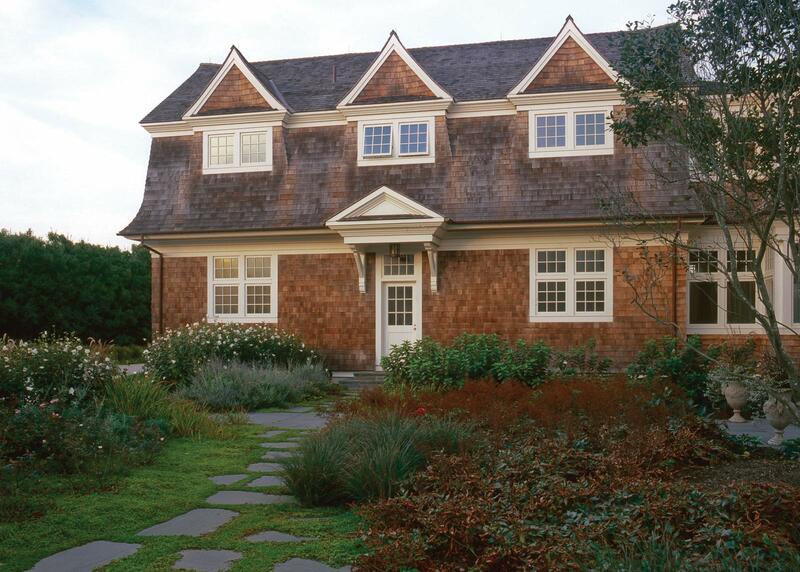 Situated in the exclusive enclave of the Georgica Association, this one-acre garden is exemplary of place-based design. 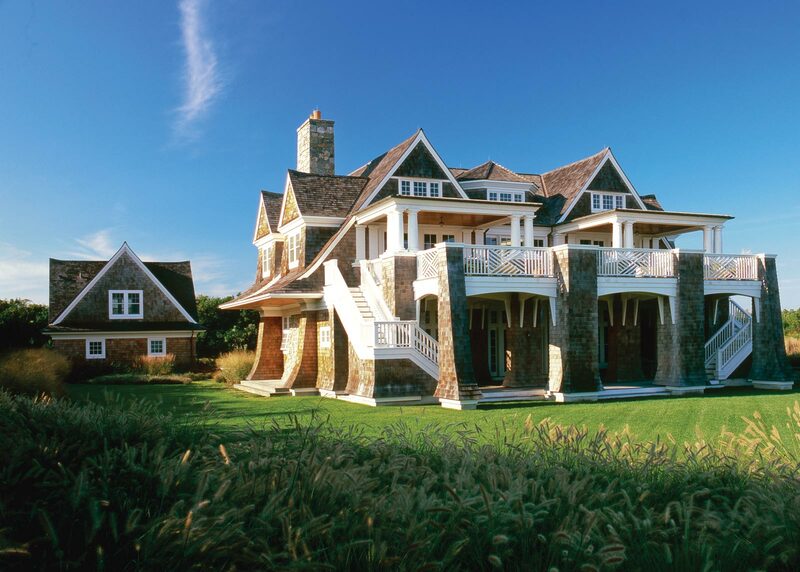 In this instance, a take on the classic style of the Hamptons’ renowned architectural history. The vehicular circulation is neatly organized and concealed along a private hedge that is not clipped, but allowed to proliferate. 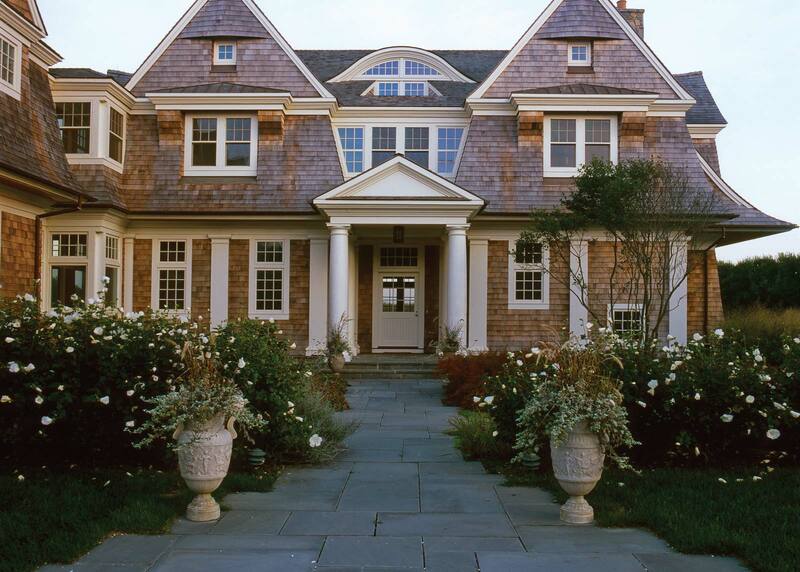 Grecian urns announce the entry garden and direct guests to the front door. Reminiscent of an English cottage garden, the entry features roses, hydrangea, astilbe, salvia, lavender, sage and hardy geranium framed with a White Rose of Sharon hedge. 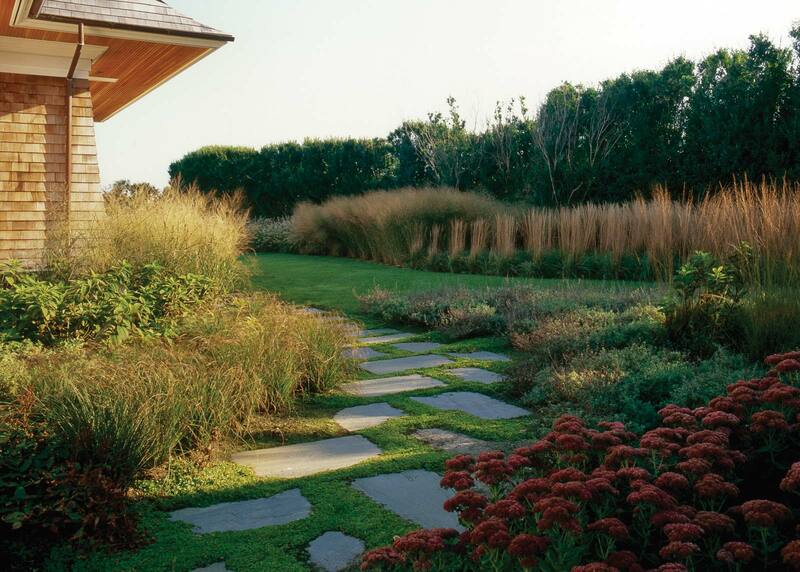 Seated on a plinth of lawn, the house is oriented toward the ocean-side landscape. 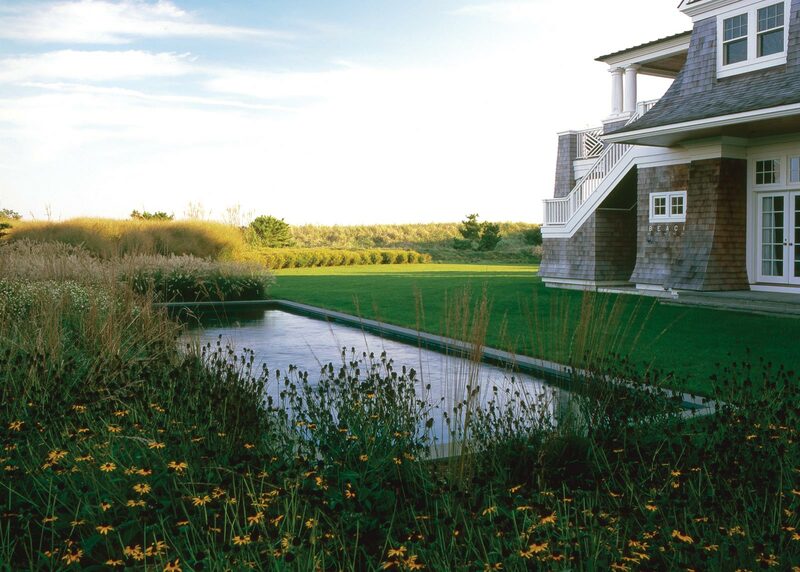 From the house, a river of lawn sweeps around to a lap pool surrounded by perennials and grasses, which draw the ocean to the edge of the pool. 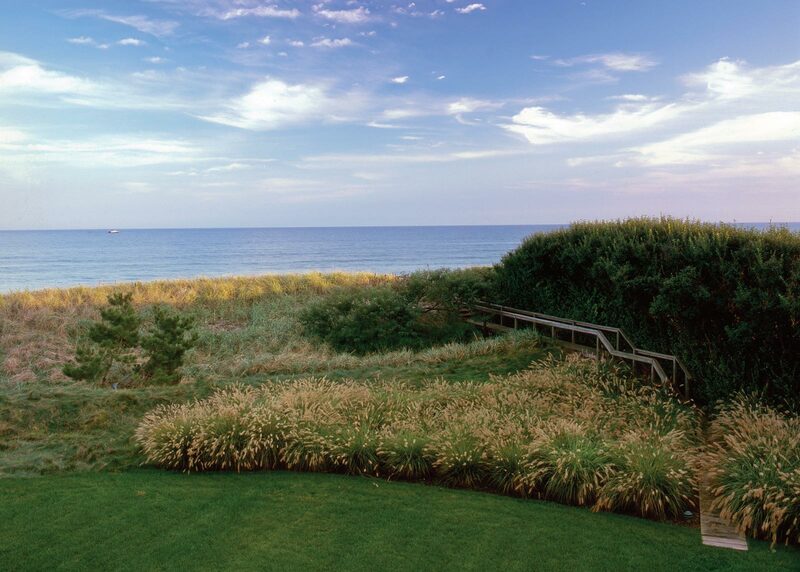 A dunescape planted with native grasses and a boardwalk protects the site’s sensitive ecology while providing access to the shore.